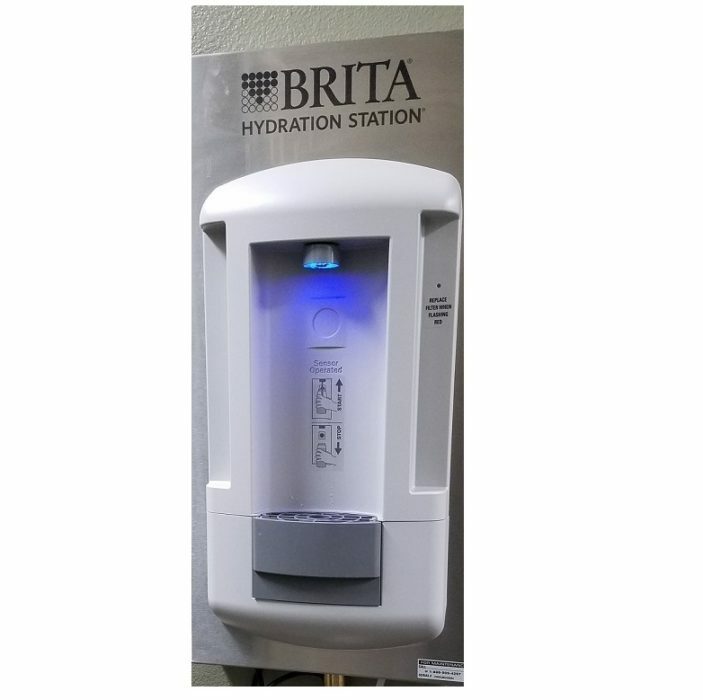 As a way to encourage employees to drink more water and less sugary beverages, Vista Community Clinic recently installed a Hydration Station with support from the UC San Diego’s Live Well @ Work program. The hydration stations tie into a statewide public health initiative — the “Rethink Your Drink” campaign, which aims to encourage people to reach for a healthier beverage option, such as water. When employees aren’t drinking water, they are more likely to turn to less-healthy options such as energy drinks or soda. As part of an overall healthy beverage campaign, Vista Community Clinic will be providing employees with reusable Live Well @ Work water bottles and featuring water promotion signage and marketing tools.